January's Chat & Learn featured some of our favorite PBS LearningMedia activities, games, lesson plans, and videos that you can use to spark conversation and keep learning at the forefront in your classroom. 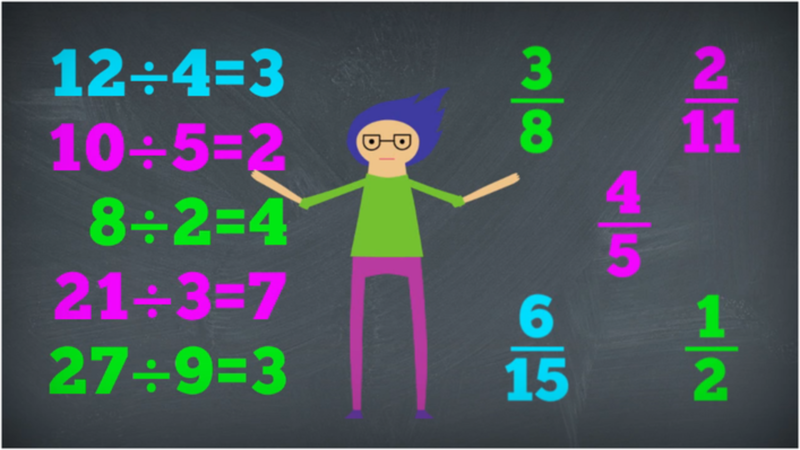 The Peg + Cat online resources provide many opportunities for teachers to introduce or reinforce early math concepts for students in grades K-2. The Peg + Cat Collection has clips, online games, and supplemental materials--including a 100th Day of School Guide with Activities. In The Electric Company Collection, you’ll find full episodes, clips, games and activity sheets to excite even the most reluctant readers. Plus, there’s lot of new content--including educator resources, activities for building math skills and vocabulary, and lessons for English Language Learners. What Happens When You Put a Hummingbird in a Wind Tunnel? This is a clip from the Deep Look Collection. See the unseen at the very edge of our visible world. Get a new perspective on our place in the universe and meet extraordinary new friends. Explore big scientific mysteries by going incredibly small. Content in the PBS Digital Studios Collection is edgy and engaging, educational and thought-provoking--designed to grab your students’ attention. Videos cover design and innovation, social studies, and even popular culture, with many more subjects that highlight the cross-disciplinary, exciting topics that have made Digital Studios such a powerful classroom resource. This is one of the most popular PBS LearningMedia Collections. Clips about a variety of holidays are organized by season. They are short and engaging. This is part of The Art Assignment Collection. Curator Sarah Green interviews some of today's most inspiring artists and offers a historical exploration behind their methods and techniques. Whether it’s transforming materials to help people look at the changing environment with new eyes, or taking classic artistic trends and adding a modern twist, The Art Assignment shows that true art can come in many shapes and sizes. A fun way to teach your students the states! “I Wanna See the States” resource inlcudes a learning module, complete with lesson plan, annotated lyrics, and blank maps. By the end of the lesson, every student will have created his or her own annotated lyric sheet and unique state map. The I <3 Math Collection video series introduces key concepts in 4th-8th grade mathematics. Each video focuses on building conceptual understanding of a topic, so that students understand the “how” and “why” behind mathematical problem solving. Mission US is an interactive way to learn history. There are four Mission interactives, and they are all in PBS LearningMedia. Mission 1: For Crown or Colony? Puts players in the shoes of Nat Wheeler, a printer’s apprentice in 1770 Boston. They encounter both Patriots and Loyalists, and when rising tensions result in the Boston Massacre, they must choose where their loyalties lie. Mission 2: Flight to Freedom Players take on the role of Lucy, a 14-year-old enslaved in Kentucky. As they navigate her escape and journey to Ohio, they discover that life in the “free” North is dangerous and difficult. In 1850, the Fugitive Slave Act threatens all African Americans in the North and brings new urgency to the anti-slavery movement. Mission 3: A Cheyenne Odyssey Players become Little Fox, a Northern Cheyenne boy whose life is changed by the encroachment of white settlers, railroads, and U.S. military expeditions. As buffalo diminish and the U.S. expands westward, players experience the Cheyenne's persistence through conflict and national transformation. Mission 4: City of Immigrants Players navigate New York’s Lower East Side as Lena, a young Jewish immigrant from Russia. Trying to save money to bring her parents to America, she works long hours in a factory for little money and gets caught up in the growing labor movement. This clip is from In the Mix. In the Mix is the Emmy award winning PBS documentary series for teens. Search “In the Mix” in PBS LearningMedia other clips on a wide range of topics. A full catalog and free Discussion Guides can be downloaded at the In the Mix website. The Daily News Story helps teachers and students identify the who, what, when, where and why-it-matters of major national and international news stories. It takes the best of the PBS NewsHour news program and pairs it with discussion questions, lesson plans and stories developed specifically for students.